The Build Store supplies kitchen Taps & Sinks and just about everything you could require to refit your kitchens – To the trade and the public. Not sure what you want? Come and visit our kitchen showroom in Wolverhampton, and see the latest trends and designs our experts recommend. 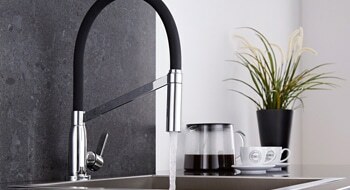 Our range of kitchen taps, from leading manufacturers, come in a wide variety of styles so we’re sure to have just the tap that’ll match your kitchen unit. 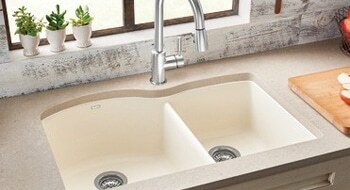 Whether you need a single sink or a double sink, our wide range of sized sinks will be perfect even the most modern of kitchens. Visit our kitchen showroom, or call us for more information.